If you are in a hurry, you may not have too much time to spend in kitchen. Then also you can make this biriyani. No need of soaking or frying rice. Cooking Rice: Heat ghee+oil in a pressure cooker. At the same time you can slice the onion. 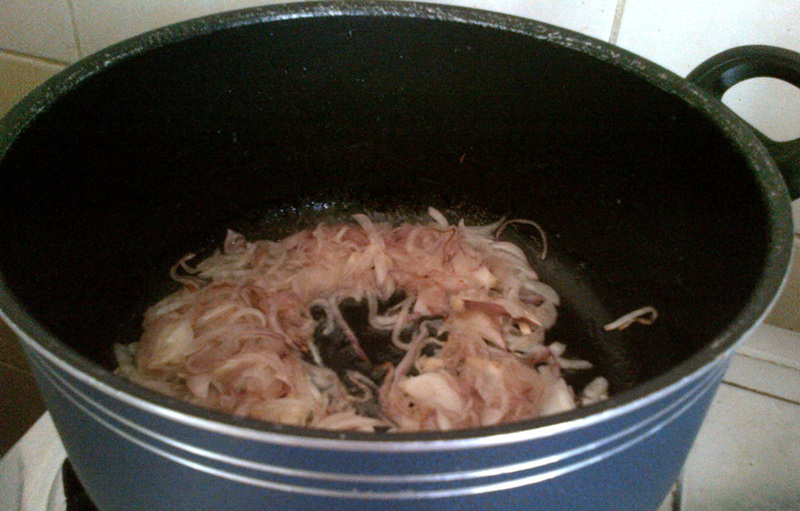 When ghee become hot, first add cinnamon, cloves, bay leaves and cardamom following by sliced onion. Saute for one minute then add water and salt. 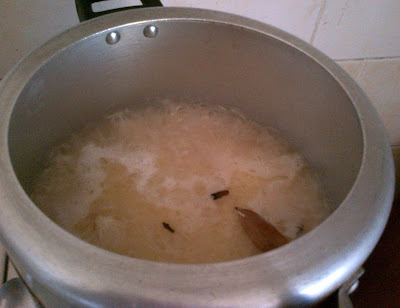 When water is being boiled you can wash the rice. After adding the rice close the lid and cook up to one whistle. Off the flame. Open the lid only after all the steam escapes. Cooking Chicken masala: In a biriyani pot heat oil+ghee, meanwhile make one onion (for layering) thin slices and add to the pot. 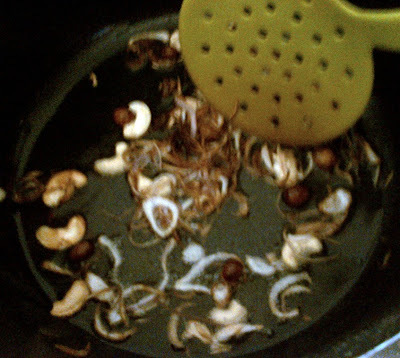 After a few seconds, add cashew nuts followed by kismis. After onion become golden color remove and drain in a paper towel. Keep it aside for layering. 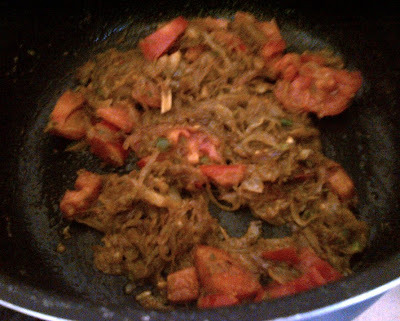 In the same pot we can make the chicken masala, add 3 onion (chopped) in to the same ghee and saute for few minutes. You can add salt in this stage for saute the onion quickly. Add ginger garlic paste followed by chilly paste. When the raw smell leaves, add turmeric powder, coriander powder, garam masala and pepper powder. Saute again, chop the tomatoes and add in to it. Then add chopped coriander and mint leaves followed by yogurt and lemon juice. Then add chicken pieces and cook for 8 minutes. 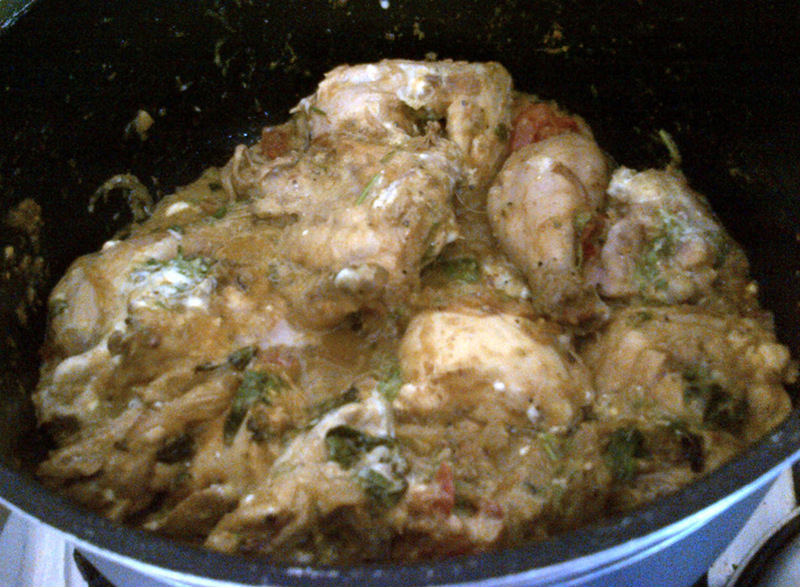 Layering: Place one layer of rice above the chicken masala, then sprinkle pure ghee, garam masala, chopped mint leaves, coriander leaves and fried onion cashew kismis mixture on the top. Make two or three layers like this. Close with tight fitting lid and keep in low flame for 5 to 10 minutes. Serve with Raitha or Salad. Note: You can use a hot cast iron skillet instead of the lid. If you like to serve masala and rice separate you can place an aluminium foil between the rice and masala. Labels: Super Speedy Recipes, What's for lunch? Cooking in hurry is something that everyone looks forward for and when it is Biriyani, its a bonus!!! Nice recipe!!! Briyani my fav.. 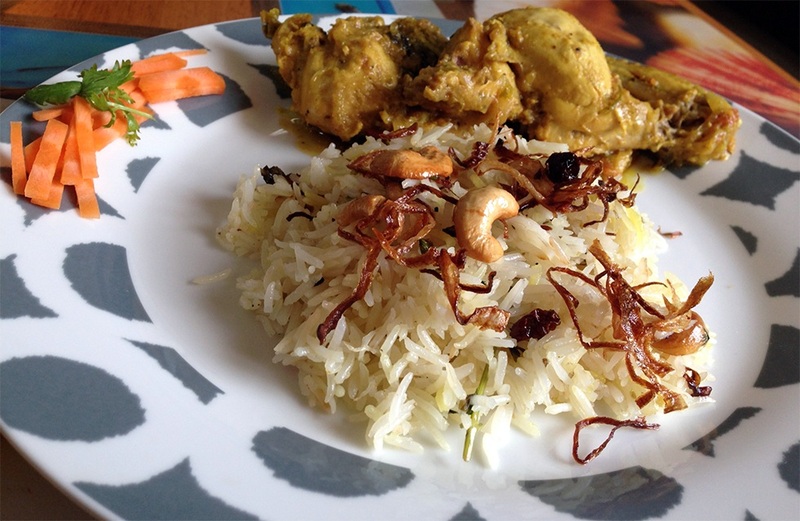 Though its an easy way, the briyani looks prefect.. Looks rich and tasty!